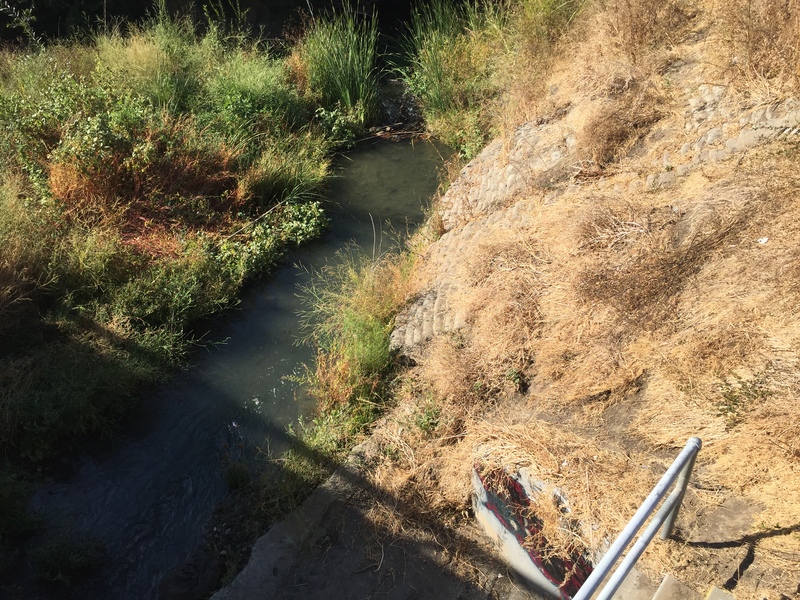 We and our Willow Glen neighbors along the river have been watching it with care. 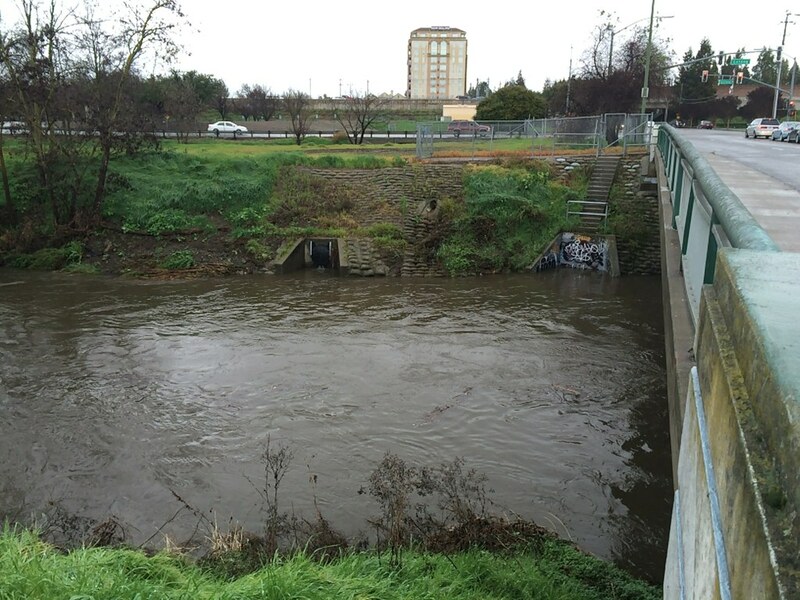 Twenty years ago, the other bank overflowed and water came up from the storm drains to wet our basements. 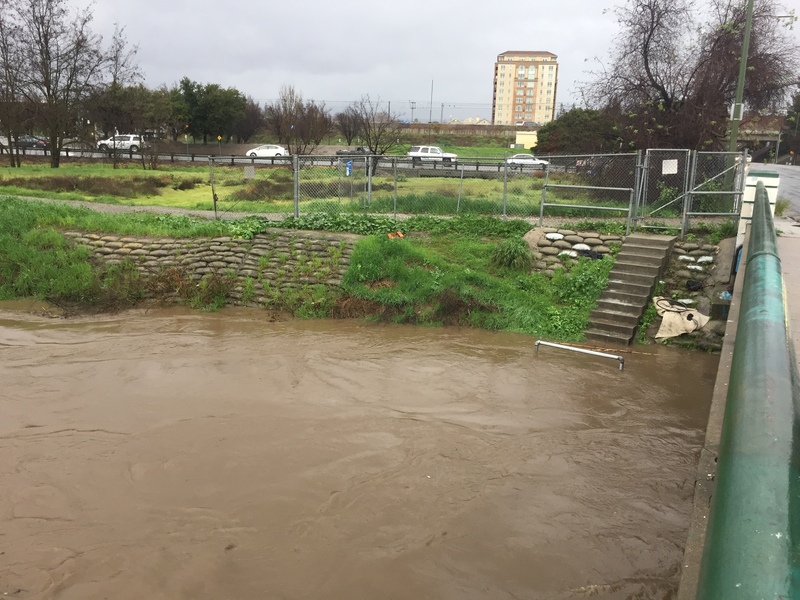 The Guadalupe River Flood Protection Project by the Santa Clara Valley Water District and the United States Army Corps of Engineers has been working against a repeat of that disaster. 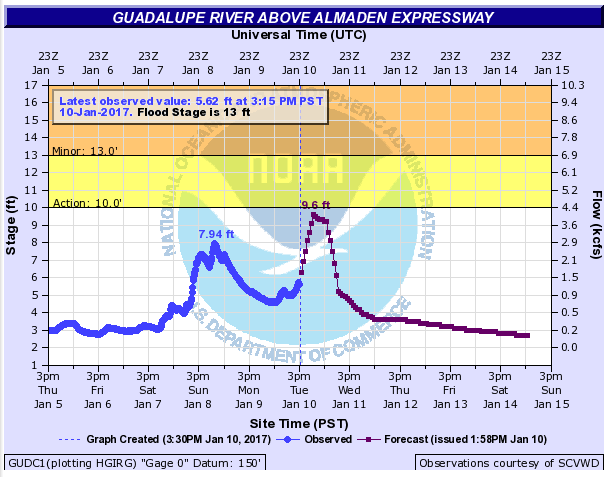 On 9 February 2015, I posted “Guadalupe River – Happy to Be Wet” with pictures of how high and low our river can go. 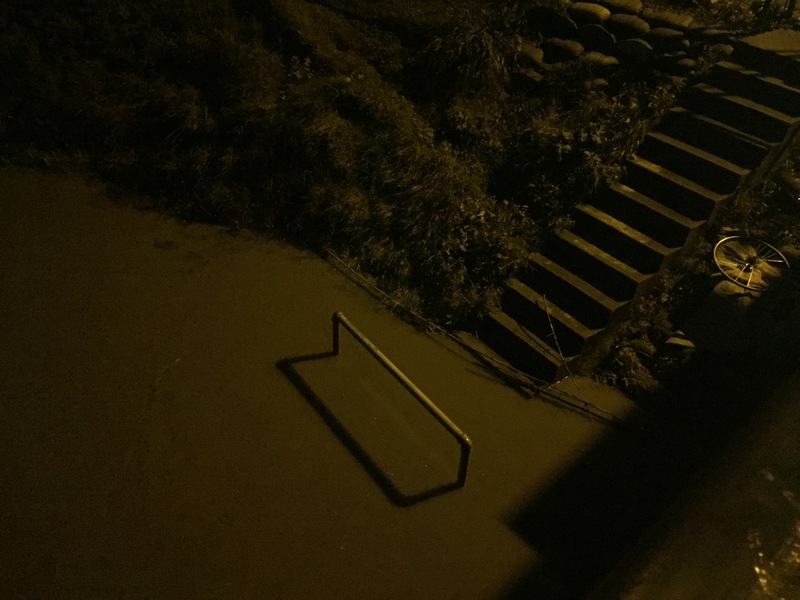 I measure by the distance of the stair railing (about half way up the bank) relative to the water. Two days ago, the railing went almost entirely under – NOAA’s measurement was 7.94 feet. 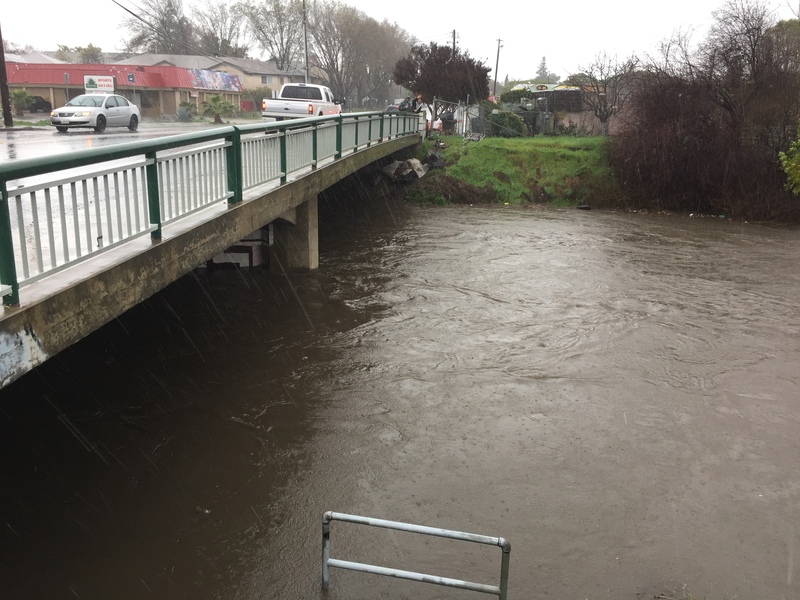 Tonight, the river is predicted to rise to 9.6 feet.